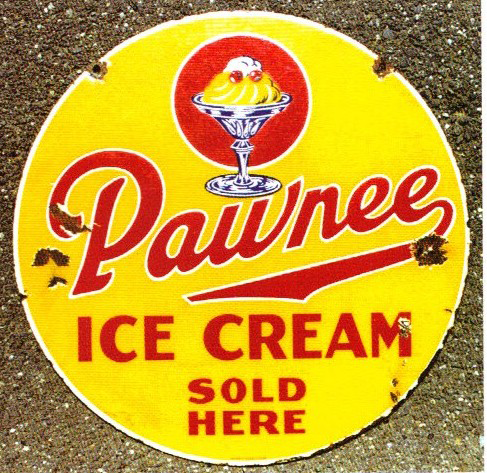 This is a round Pawnee Ice Cream porcelain sign. This particular Pawnee Ice Cream sign is yellow with red text. It reads, “Pawnee Ice Cream Sold Here” and features a glass dish of ice cream and red berries at the top of the sign.